1. 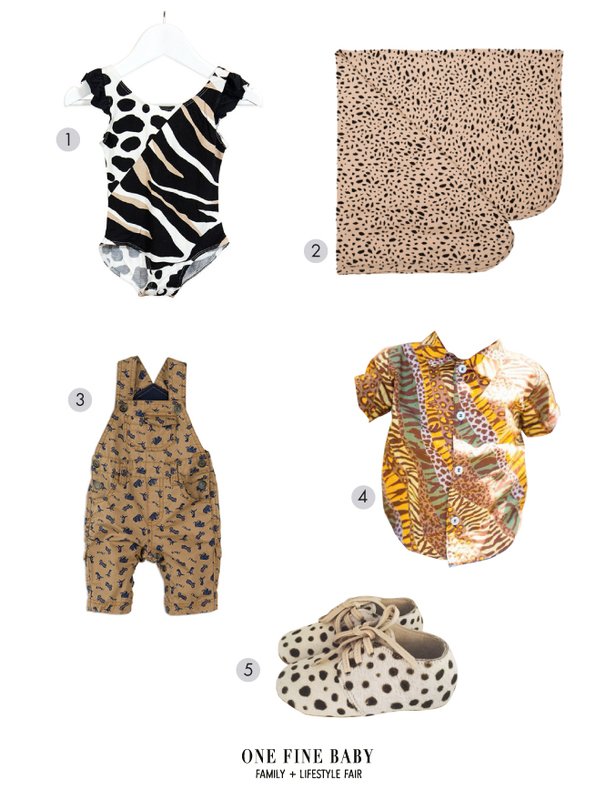 Kids Jungle Bodysuit from FromZION. 2. Terrazzo blanket from Hux Baby. 3. Printed Dungarees from Pumpkin Patch. 4. Jungle Print Shirt from Mrs Millah. 5. Layla Lace Ups from Odds and Evie.